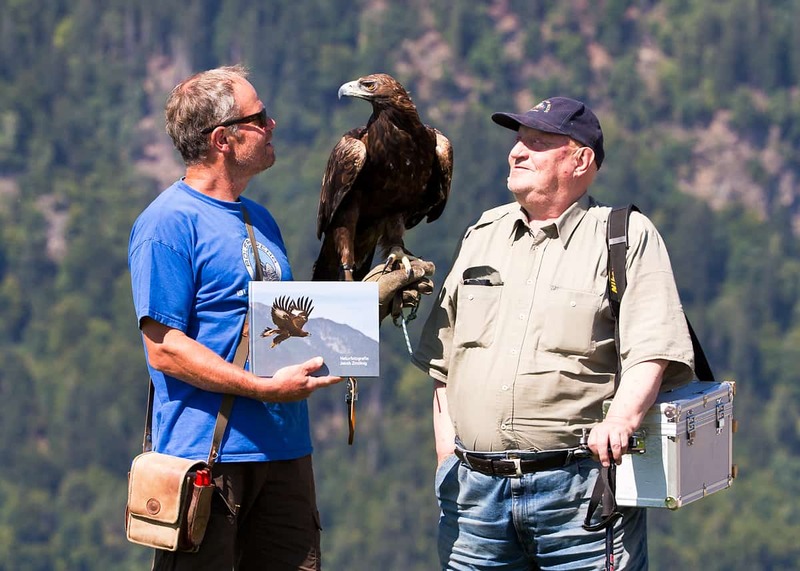 For many years, amateur ornithologist and amateur photographer Jakob Zmölnig is a welcome guest in the Adler Arena Burg Landskron . He has become a true friend and his beautiful photos are an indispensable advertising for our Eagle Arena . As present for his 80th birthday, his children designed a photo book for the jubilee with beautiful shots and entertaining anecdotes from the many years of ‘ waiting for the right moment for a perfect photo ‘ . As a ‘thank you’ for many years of cooperation, we also got one of Jakob Zmölnig`s `Jubilee Books’. On the cover there shines a photo of our young eagle, naturally done by Jakob Zmönig. We wish Jacob Zmölnig many healthy years with perfect moments and perfect pictures and a lot of joy with his hobbies.